Google and many others want the web to be more secure. Google had their HTTPS everywhere campaign, they announced HTTPS as a ranking signal, and they have started indexing secure pages over unsecured pages. 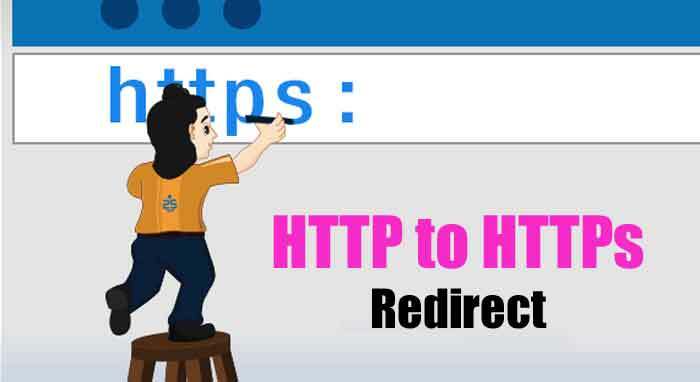 Here I’m coming with new article which helps you to redirect http to https cpanel, also I’m providing video guide to force redirect to https htaccess. As out .htaccess file is hidden from the user and without .htaccess file you cant migrate from http to https. So, first understand how to view the hidden files in the cPanel. There are many website hosts and CDNs in the world, which offer free security certificates to encourage people to make the switch, but many people still aren’t moving, why? Why move HTTP to HTTPS? Communications between the website and your browser are encrypted. HTTPS used to protect highly confidential online transactions like online banking and online shopping order forms. So its always better to redirect all http to https htaccess. Data integrity and security, without any modification data, go to the intended user and with more confidential and secure. Encryption play very important role. Encrypting the exchanged data to keep it secure. Authentication helps to prove that your users communicate with the intended website it builds trust which helps to increase business benefits. Increased rankings: If you use HTTPS then slight ranking boost up of your site. It prevents your site by third parties. Provide more security for visitors. It makes encryption of all communication, including URLs, which protects things like browsing history and credit card numbers. You need .htaccess files to handle redirection to HTTP to https. If there is need to create .htaccess files you can use your control panel -> file manager. Avoid duplication of RewriteEngine On. Lines beginning from RewriteCond and RewriteRule should immediately follow the already-existing RewriteEngine On. If you want to keep your website secure then you should use these codes to convert HTTP to HTTPS. With a HTTPS connection, all communications are securely encrypted. If somebody tries to break the connection they would not be able to decrypt any of the data which passes between you and the website. So its always better to redirect all http to https htaccess. If you have any doubts or any problems then please let us know we would like to solve your problems. You can click here to read most important, How to avoid email spamming.